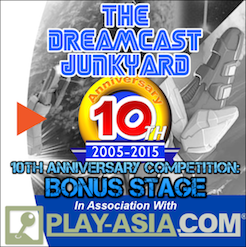 The Dreamcast Junkyard: 10th Anniversary Competition Part One: We Have A Winner! 10th Anniversary Competition Part One: We Have A Winner! 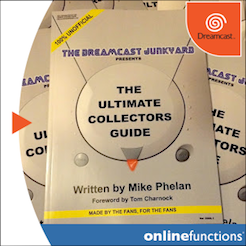 Firstly, we have to thank everybody who entered the first part of our competition to win one of three limited edition Dreamcast Collection vinyl records. They really are lovely items to have in your collection, and we must also thank Sega Europe for giving us the opportunity to run this little contest. Alas, there can be only one winner per competition and it was ridiculously tough to choose who should get the prize. 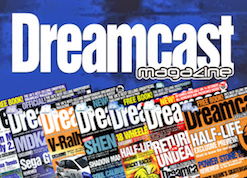 The vast majority of the entries were fantastic tales of how you first got into the Dreamcast, and many a Christmas morning or late night gaming session of yore was recounted. And for this, we thank you from the bottom of our beeping VMUs. It's truly amazing just how entwined the Dreamcast was (and still is) in a lot of peoples' gaming life. 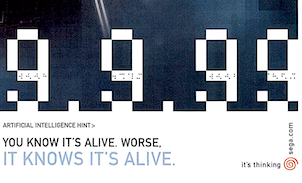 We asked you to tell us what the Dreamcast meant to you, and you responded magnificently. 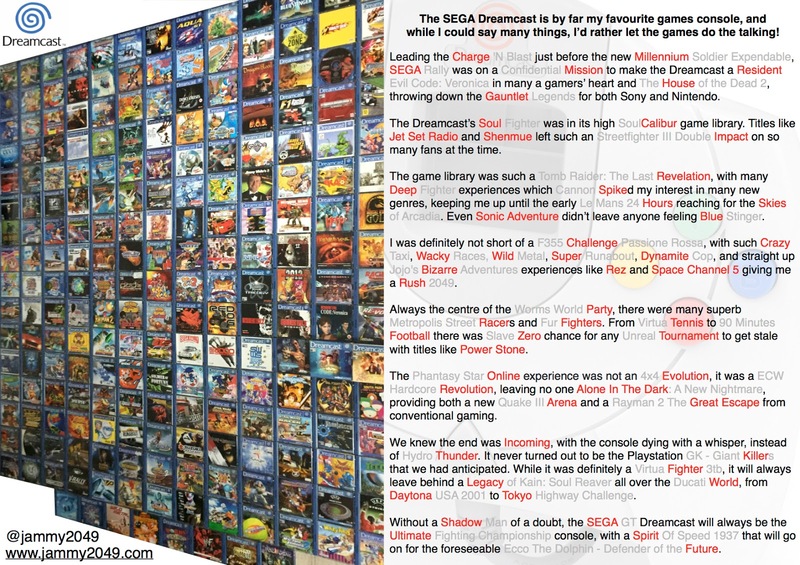 To be fair, we knew you would - a sharp mind, intelligence and creativity are all hallmarks of the typical Dreamcast fan! "My favourite memory of the Dreamcast was when playing Chu-Chu Rocket. My sister's girlfriend came over one day and my sister had to go run an errand, so it was myself, my brother, my other sister and my sister's girlfriend. At the time I didn't really know my sister's girlfriend and we really didn't have much in common. She sat down in the living room and asked what all games we had that she could play, she wasn't really much of a gamer, and I suggested we try out Chu-Chu Rocket. We had so much fun that night, I think we played about 40 games. To me this is a testament to the pick up and play nature of the Dreamcast games as well as how much fun the games are. This was 4 years ago, I still hold it as one of my fondest gaming memories and was a real turning point for myself in getting to know my sister's girlfriend." 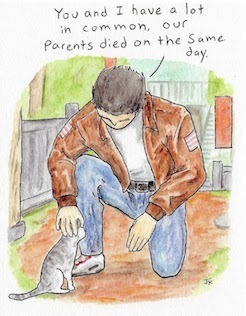 "It was Christmas morning 1999. Under the tree was my Dreamcast with House of the Dead 2 and Sonic Adventure. It jumped so far ahead of my Saturn, with memory cards that looked like little Game Boys, a keyboard and a modem it really felt like the future. Some 16 years later and I still get that Christmas feeling playing my little white box alone or with friends." 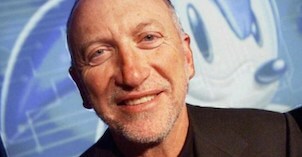 "The Dreamcast is special because, using a VGA box, the console is still fit for purpose in an era of HD televisions. The best exclusive games on Dreamcast use crisp, clean artstyles that afford a timeless quality to their visuals and with solid 60 Hz framerates the gameplay is satisfying and responsive. The standard controller has a pleasant design and, contrary to popular belief, it goes to show that a second analogue stick is unnecessary for most kinds of video games (see also: the original model of the Nintendo 3DS). 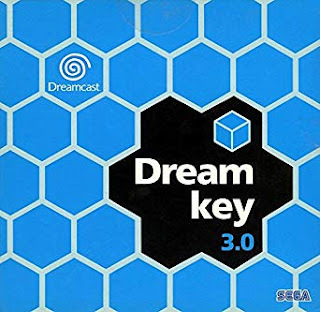 There are many interesting curiosities and innovations surrounding the Dreamcast: GD-ROM, its online capabilities, the VMU, the swirl, the blue PAL game cases, the brilliant range of peripherals with occasional hints towards motion controls, and so forth. 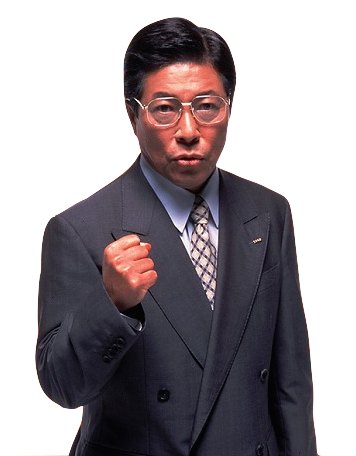 Everything comes as part of a package that was the surreal behaviour and decision-making inside Sega Corporation at a time of near total collapse for the company. 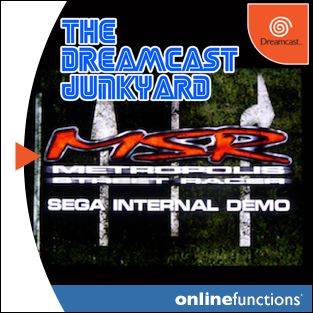 It is therefore no wonder that a very nice website like The Dreamcast Junkyard exists to this very day. 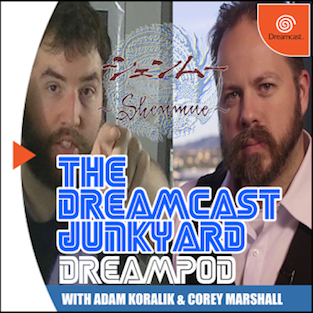 So there you go: the Dreamcast is also special because of The Dreamcast Junkyard. Long may your contributors be trawling though all the “junk” and keeping us informed about it. From one of the 6 billion Dreamcast players, many thanks!" 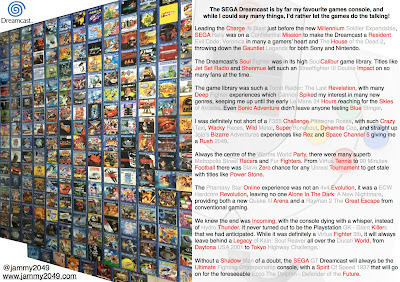 "The Dreamcast and Sega made me the gamer that I am today and in some cases made me the person that I am today. For all of this and a lot more the Dreamcast holds a very special place on my heart since that Christmas of 15 years ago…"
"It’s one thing to read articles and watch videos all about the DC, which I’ve always done since its release, but it’s another to actually live it, the hype, the life, the death, the resurrection. 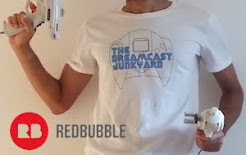 I’m pretty lucky, I found the Dreamcast Junkyard in its infancy I think I commented back then under a defunct Blogger name “Benjy.” The Junkyard is like an old friend, and I have much enjoyed the podcasts too, as it's great to hear conversation from the guys writing the articles over the years. So back to the question; Why is it special? I can list of all the usual suspects everybody says, and they are all good reasons. Graphics, the amazing library, the underdog status, the VMU, ahead-of-its-time status, the reliability, continued support, etc. I’m going with a different answer. I think it’s the intangibles. That’s right - it's special because it's special. I can’t describe it. Much like putting to words why I chose my wife to be 'the one.' The sums of its parts…and something else I can’t describe and I find it completely fitting its indescribable much like everything close to the heart." 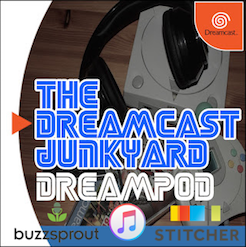 "The Dreamcast was the first video game system I remember playing as a young kid. My older brother had gotten one and a ton of games like Seaman (he imported it) Sonic Adventure 1 and 2 and both Shenmue 1 and the European Dreamcast version of Shenmue 2 by import. I remember My brother yelling at me to stay out of his room because I would go in and play his Dreamcast while he was at work." 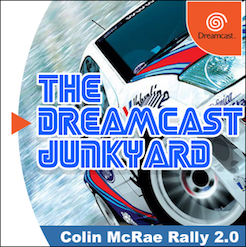 Thanks to both Silver Mongoose Videos and David Moore for submitting these two entries, the Dreamcast song in particular is fantastic (make sure you have subtitles turned on!). Congratulations to James Steel (aka Jammy2049)! 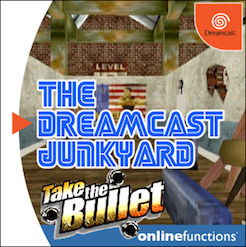 We particularly like the way James incorporated a whole load of Dreamcast titles into the main body of his entry, as well as laying out all of his PAL games on his living room floor in order to snap the image. Well done to James, but also thank you to everybody else who entered. We hasten to add that even though there was just one winner in this competition, we still have two vinyls left to give away and you can enter those competitions too...so if you're not James, you can still bag one of these awesome records! 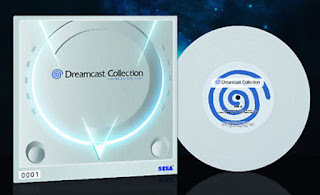 I know I am late for the party, but to me the Dreamcast was the last "classic" console, whose catalog was still "arcadey" and whose games felt finished, not like patched pull-out collectables. But it was also the first "modern" console, with online, and 3d graphics that did not make your eyes bleed. It should be noted that it represented the time where consoles matched arcades in terms of power. 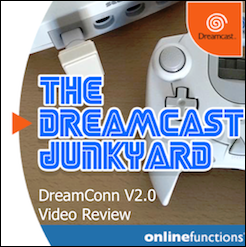 The Dreamcast made getting 1:1 conversions possible. A personal favourite of mine, its 2D fighters and shootem ups, coupled with the original arcade stick, has not been matched so far in terms of pure, sheer fun.